You do not have to message me when you claim a person. You only have to message them for their address. Please PM me however when you send your questionnaire, when you send your claim, and when you receive a claim with the title: OHLS 5: questionnaire, OHLS 5: sent!, etc. Also, Please PM me with any questions you have. sweetyetevil to klg_jlg for ladder bracelet by 8/16. cloud_berry to sweetyetevil for plastic bag holders by 8/16. craftaddiction to cloud_berry for crayons by 8/16. cloud_berry to craftaddiction for tiny gifts by 8/16. craftaddiction to cloud_berry for knitted socks by 8/16. sweetyetevil to craftaddiction for playfood by 8/17. lindyv321 to sweetyetevil for soap bags by 8/17. TwistedTruth to lindyv321 for lightswitch and ATCs by 8/17. Casey1201 to TwistedTruth for ornaments by 8/18. rubies-pearls to Casey1201 for a unicorn by 8/20. TroubleT to rubies-pearls for embroidered tag by 8/20. Casey1201 to TroubleT for earrings and holiday stuff by 8/21. lindyv123 to Casey1201 for hoop and t-shirt by 8/21. smashu to lindyv123 for a t-shirt, ornament and bracelet by 8/22. kaz814 to smashu for pattern weights and a fabric plant by 8/24. cloud_berry to kaz814 for coworker gifts by 8/25. KirBee to cloud_berry for etched shot glass by 8/25. rubies-pearls to KirBee for amigurumi by 8/25. Twisted Truth to rubies-pearls for nursing necklace and onesie by 8/27. tamalama to Twisted Truth for USB, ornament and bookmarks by 8/28. lindyv321 to tamalama for notecards and soap by 8/29. texscrapper to lindyv321 for a floor pillow by 8/30. TroubleT to texscrapper for mermaid stuffy by 9/1. Twisted Truth to TroubleT for hat, neck cooler and cat toy by 9/1. cloud_berry to Twisted Truth for gifttags and washcloths by 9/3. craftaddiction to cloud_berry for a scarf by 9/3. klg_jlg to craftaddiction for soap by 9/4. Kirbee to klg_jlg for holiday decor by 9/4. TroubleT to Kirbee for a cowl by 9/4. ecopp to TroubleT for hotpads by 9/5. tamalama to ecopp for stitch markers and jewelry 9/7. lydiaharper to tamalama for beer mugs by 9/7. smashu to lydiaharper for fabric abcs by 9/7. Last list from the last round was from the fabulous klg_jlg! I'll claim texscrapper for an art notebook in boy colors for her oldest. Jake- My hubby. He’s a really easy going guy and doesn’t get into frilly crafty gifts too much. Totally into camping, shooting, and playing video games. Me- Okay I feel selfish for putting myself on here but it would be nice to get some things that I have some input on, ya know? I’m 22, and I’m a totally crunchy attached mommy yet my style is modern and classy. Ami Unicorns http://pinterest.com/pin/242209286180347691/ (I’d love to end up with one for each little girl in the family. That being said, let’s aim for 1 pink, 1 orange, 1 yellow, 1 lime green, 1 aqua, and 1 purple. With these, girls, they NEED to have different colors.) You could do the whole unicorn this colors or white with mane and tails of these colors, however you’d like as long as they are visibly different from each other in the eyes of little girls ranging from 1-6. Lol. Soy or beeswax candles for the women in the family --We are fond of “warmer” smells such as coffee, chocolate, apple pie, cinnamon, vanilla..
Décor- I really need some stuff to decorate with for the holidays. We have a tree with some ornaments, and that it! We are doing red, pink, aqua, and some green. Think about the modern christmasy fabric you see in those colors at the store.. I am claiming klg_jlg for the ladder bracelet she listed! Hello, I am Beth and I live in Michigan. This is one of my favorite swaps and I look forward to making and getting all sorts of goodies. I have a greyhound named Hallo and have just recently started canning. You know, cause I needed to get involved with another hobby/project . I have been also making soap, bath bombs and scrubs and trying to learn some new sewing techniques. Car reusable garbage bags (waterproof if possible) for men or women. No set number as everyone could use one of these. Something (makeup bag/wall art/journal, hoopla etc., pick anything) with a pal’s name and meaning on it. Her name is unusual so I think she would really like that. Her name means one word (hello) so it is not something long and elaborate. She loves nature and is into her heritage which is Native American. Bonus points of you can guess the name before I tell you! Spice rubs or sauces for Dad, brother and boyfriend-the grill masters! Bathroom kit bags for the guys- Something to put their items (razor, toothbrush, etc.) in when traveling. Dad-he would like a patriotic themed bag or organizer for his car. He is a vet and he and stepmom assist with raising money and help for the vets in their area. A scrap/waste basket for table when I am sewing or cutting things. I make a mess! There are all sorts of things on my pinterest. Nothing has to be identical so check it out. If you have any questions please let me know. I claim sweetyetevil for plastic bag holders! 1/0/0 This is my first claim for this swap! Hello! I’m Laura from Pennsylvania. I graduated college in May and am currently thinking ahead to the holiday season where I’ll just start paying back student loans and be flat broke! Uh-oh! I’m so glad this swap exists! I currently don’t have a job, but I hope to soon be employed as an English teacher or at least a substitute teacher! I live in the countryside with my family and our dog, garden, and farm animals. We have a large plot of property that we hike and hunt on, as well as keep a huge garden. I’ve always told myself that the winter after I graduate college I will make sure that I get each and every one of my family members a proper gift from me. So that’s what I aim to do this year. Thanks for the claim! Mom—Librarian for 11 years, former PPG factory worker and nurse’s aide. ~Glass ornament. My mom buys an ornament from a local festival each year, but the man only makes so many designs. These are handmade glass figurines of Christmas-y things, like reindeer, bells, snowflakes, etc. ~Rice pack heating pad (optional: with scented herbs inside), in cute fabric. She has one now but it’s ugly brown and falling apart. Dad—PPG technician, likes hunting, fishing, wine, and grilling. ~A little box/pouch to put his highlighters/pens/pencils in. He is taking college classes online and always frets about not having what he needs where he needs them. Man-style. Zach—Brother, 21 in September. College senior at Penn State. Works on bridges in the summertime. Likes hanging out with his friends at camp. ~Disarmed bullet on a keychain. Josh—Brother, 18 in October. Runs cross country and track. Former golf team member. Likes comedy central and looking good. ~Stenciled shirt. Size adult medium. Stenciled meme or internet joke. Pm for ideas. ~Stenciled shirt. Size adult medium. Stenciled quote or saying relating to lifting weights or running. Tanner—Brother, 12. Plays percussion in the band. Likes launching rockets and building models. Pittsburgh Steeler fan. ~Canned foods. Anything but tomatoes. My mom cans tomatoes so she would be jealous if your recipe became a favorite! ~Preserves. Favorites are strawberry and peach, but again, anything will do. ~Soup-in-a-jar mixes. My grandparents are getting tired of cooking, so this would help them out a lot. Could be sent in plastic bags instead of glass, for safety reasons for my grandparents. ~Wine carriers/totes/sleeves, etc. Wine accessories. ~Felt/crocheted food for my cousin’s sons, ages 3 & 1. Any type. Any material, as long as they can chew on it. ~Fun shape melted crayons for my cousin’s sons, ages 3 & 1. ~Beer bottlecap magnets for uncles. ~Ornaments! Get creative, can be Christmas-y or not. ~Scarves, knitted or crocheted, any color/style/length, for the aunts. One aunt is VERY allergic to everything, so please no pets or smoke. If you have those in your home, please let me know and I’ll give it to the other aunts. ~Junk turned into garden art. My aunt collects junk like rusty sprockets and broken cement figurines and glass chunks and puts them into her garden. ~Long legwarmers, of any medium. A is going to grad school in Chicago, so she needs to keep warm! She wears anything, literally. ~Coffee/tea/hot chocolate in a mug sets. For those friends who need the extra pep in their mug. ~Stenciled shirts for my female friends, size Small, standard fit, crew neck or V-neck. Stenciled with poetic quotes, pm for specifics. ~Apartment items. Most of my friends are moving into new places and will need items. 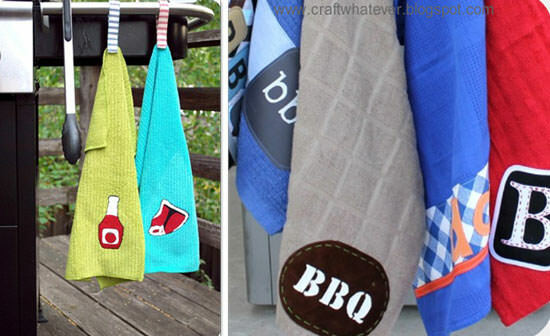 Think trivets, hot pads, aprons, dish towels, wall art, etc. These are all poor, exhausted grad school students. ~A shirt, standard fit size small with the quote “Drink the popsicle juice from the mountains of peach schnapps” It’s an inside joke. Any color. ~Hair accessories, headbands/bobby pins/bandannas, any kind, but no feathers, please. Pinterest surprises are fun! These items would be for me or my college friends, most likely. - Tiny gift(s) The “tiny” ones are people around town (the first group). Usually I pick up all 8-10 of them for around $20 (just to give you an idea on value). This is like the mail man and the trash guy. It is okay if they are really tiny. I am going to leave them on my list and make little goodies bags. Maybe ornaments, snack bags, cooking mixes, magnets, hot coco mixes, chocolate dipped spoons, magnetic clothespins, altered clothes pin magnets, finger hot pads, alerted notebooks, bookmarks…. Really, anything you can think of. I am horrible at coming up with ideas. You don’t need to claim all 10. Just claim how ever many you want to meet the swap requirements, or “mix-and-match” with other things on my list. - Felt Christmas Tree like this. I would love to get 2 (1 for each family), but it doesn't need to be by the same person. - 3x Shirts for Dad Doesn’t matter if they are sewn, stenciled, painted or anything else. He likes shirts. Any type or style. I haven’t seen a shirt he doesn’t like. Shirts in his size are expensive and they don’t have much money so he usually gets his shirts from the bargain rack from walmart (when he can find them, which isn’t often). It is always the shirts no one else would wear and he loves them. He has an unusual sense of humor. His favorite was just a basic shirt that said “I am Hip Hop” he found for $3. He loved that shirt. If you want themes, some would be: Detroit lions, the zia symbol, Bob Marley, his dog, humorous sayings. Don’t feel you need to go by those themes. He would love anything! Those are just what I could think of. Don’t let them limit you. - Stenciled/etched wine glasses They get their wine glasses from the dollar store. They work fine but are a bit plain. So maybe some can make glasses with a design on them? Thanks TroubleT! - Flip Flops for mom. Womens 7 1/2. Here is one idea. Any type would work in any craft. - Stocking stuffers Last year I didn't have much money, so I make a stocking for my mom and filled it with little things (like the little sewing accessories you can get for $1, washcloths, etc). She was almost in tears. She loved it. So I want to get some suffers to put in stockings. Just some ideas are potholder(s), hotpad, finger potholders, cooking/baking supplies/mixes/accessories, spices, dog toys, any detroit lions/49ers(football)/spongebob, anything you can think of. I am going to make my parents both one this year (or make dad one and have a bunch of little gifts for her to open). - Super Hero Coasters as seen here. Old style comics like that would be great. He would flip if it was from old comic strips. His favorite strip is Prince Valiant (by the original artist, not the modern version). - ***Shorts/Boxers***. Super Duper Big Wish! When it is hot he wears boxers all day. One day he is going to forget and flash someone. I would love it if someone could make him a pair of boxers without the hole. So basically, super light weight shorts. - Crayons any crayons, even old, ugly broken ones. - Pokemon Themed Item for the 12 year old. Perhaps a bag? ~Fun shape melted crayons for my cousin’s sons, ages 3 & 1. Thanks craftaddiction! I claim cloud_berry for "Knitted socks or slippers"
I am claiming craftaddiction for some play food for her BFF's kiddies! NEW plastic bag holders in plain colors http://thehappyhousewife.com/home-management/plastic-bag-holder/ thanks cloud_berry!